Sen. Elizabeth Warrens heavily promoted DNA test showing she likely has some Native-American ancestry ended up handing more fodder to Republican critics, who pointed out the test results indicate she could actually have less Native-American heritage than the average European American. Republicans countered, though, that having such a trace amount of Native-American heritage should not give Warren the right to claim minority status -- as she was accused of doing to advance her career at Harvard years ago. Warren might even be less Native American than the average European American, Republican National Committee spokesman Mike Reed said in a statement Monday. He also cited a 2014 study that puts Warren's claims in perspective. The study, published by a team of scientists in late 2014 and featured in The New York Times, amounted to the largest-ever genetic profile of the U.S., based on 160,000 people. The study examined the average Native-American ancestry for Americansincluding European, African and Latino Americans. For Latino Americans, the average percentage of Native-American ancestry was 18 percent; while African Americans average was .8 percent. If Warren is 10 generations removed from a Native-American ancestor, she would be no more Native American -- .09 percent -- than any of the groups studied in that research. If she's 1/64 Native American, it amounts to 1.5 percent, or greater than the average European American. 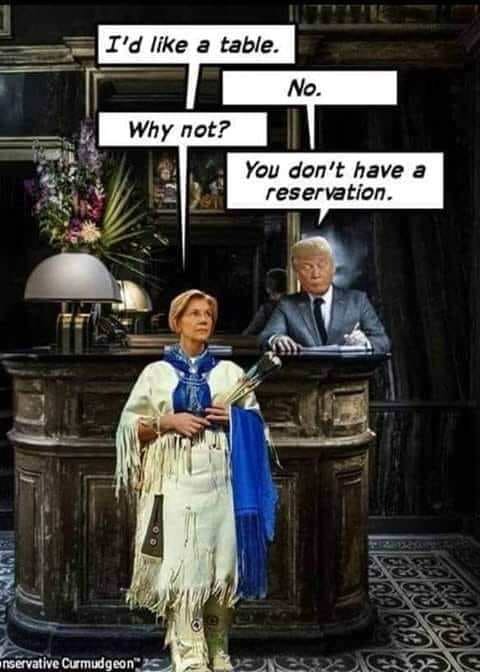 Warren, who is mulling a 2020 presidential run, repeatedly has been mocked by President Trump for claiming Native American heritage. Trump has dubbed her Pocahontas for months. Trump brushed off Warrens DNA test when asked about it Monday morning. Who cares? Trump said, adding that he hopes Warren runs for president. He also claimed he never made an offer to donate $1 million to Warren's favorite charity if she took a DNA test as part of a debate challenge (he did, at a rally over the summer). Warren used the Globe report to directly respond to Trump's challenge.